All the living things you see around yourself are made of tiny creatures called cells. Cells are the fundamental block of any form of life, whether it be animal or plant. A living organism can be as small as a single cell and can be as big as a blue whale which is made of trillions of cells. We human beings are also made of various types of cells that make our brain, organs, bones, muscles, and skin. There is a wide range of cells on the Earth that survive differently from each other and perform different types of function. Take the human body as an example, it has at least 200 different types of cells which make various types of tissues in the human body and perform different functions. For example, our brain contains billions of nerve cells which allow us to think. The human body has separate cells for muscles, bones, skin, eyes, and blood. According to functionality, there is a large number of cell types. Generally, we can divide all the cells into two broad categories which are prokaryotic cells and eukaryotic cells. 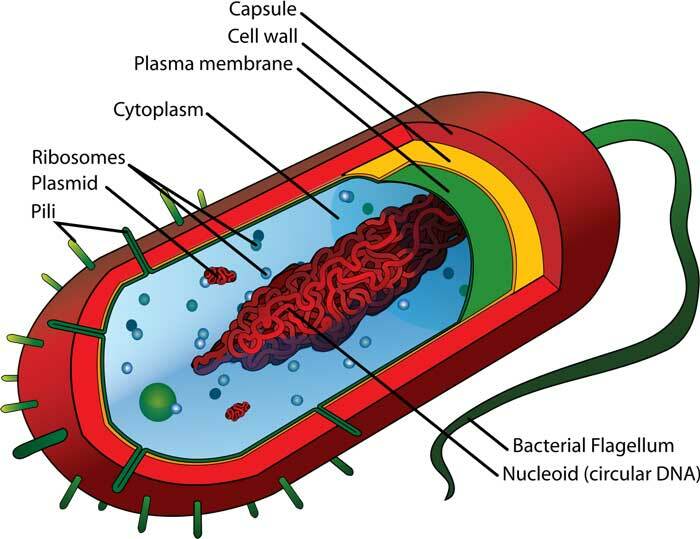 Prokaryotic cells are simple and smaller in size, and they lack nucleus which houses the DNA. Due to the lack of cell nucleus, their DNA is mostly located in their central region. Most of the organism that are made of prokaryotic cells are unicellular (single-celled), but sometimes there are also multicellular organisms. Any organism that is made of prokaryotic cells is called prokaryote. There are two main domains of prokaryotes; archaea, and bacteria. Eukaryotic cells are generally more complex and bigger in size than prokaryotic cells. They have a defined cell nucleus in which DNA is housed. Eukaryotes can be unicellular, as well as multicellular organisms; animals and plants. Although eukaryotes can be large multicellular organisms such as elephants and trees, they only represent a tiny fraction of living things. Cells perform various functions and they contain many parts and structures which help them in doing their job. The specialized structures within a cell body are called organelles. 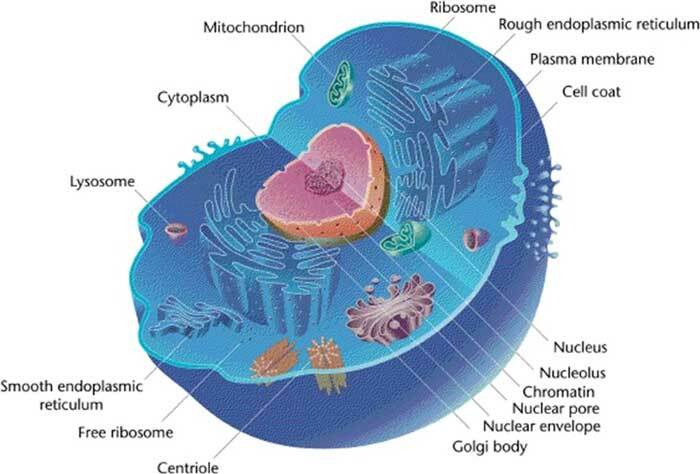 Here are the main parts and organelles of a cell. 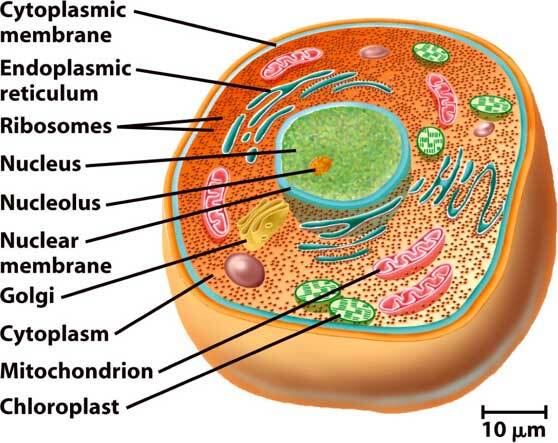 Cell membrane – It is the outer boundary of animal cells. Cytoplasm – It is a jelly-like substance that fills complete cell inside the cell membrane. All the structure inside a cell float in the cytoplasm. Nucleus – This organelle contains the DNA of a cell and acts a brain. It is responsible for instructing the cell to do various tasks. Endoplasmic Reticulum – It is a network of canals that are spread throughout a cell to transport materials from one part to another. Mitochondria – These organelles are the powerhouses of a cell that generate energy from food that we eat and the oxygen that we breathe. Ribosomes – These organelles produce various things for a cell to function well such as proteins. Lysosomes – These organelles get rid of waste materials that are produced by a cell while performing various tasks. Golgi Bodies – These organelles stores the protein temporarily. Vacuole – Vacuoles are the storage organelles of a cell that can store food, water, minerals, and waste materials. There are around 37 trillion cells in the body of an average person. Stem cells are special cells that can convert themselves in any form of cells. An average sized human contains more than 39 trillion bacterial cells – more than the actual cells of the body. Abdul Wahab, "Cell," in Science4Fun, April 13, 2019, http://science4fun.info/cell/.